Alfred Moran is an expert in transforming underperforming companies into positions of prosperity and optimum value. He specializes in strategic, operational and financial best practices. As CEO and consultant to CEOs, Boards and Senior Managements, he has been responsible for over 70 company transformations and is known for his creative leadership in strategic redirection and market repositioning/rebranding. With the common mission of optimizing best practices, Alfred has held seven CEO positions, three COO positions, three NYSE directorships, four public company directorships and five private company directorships. 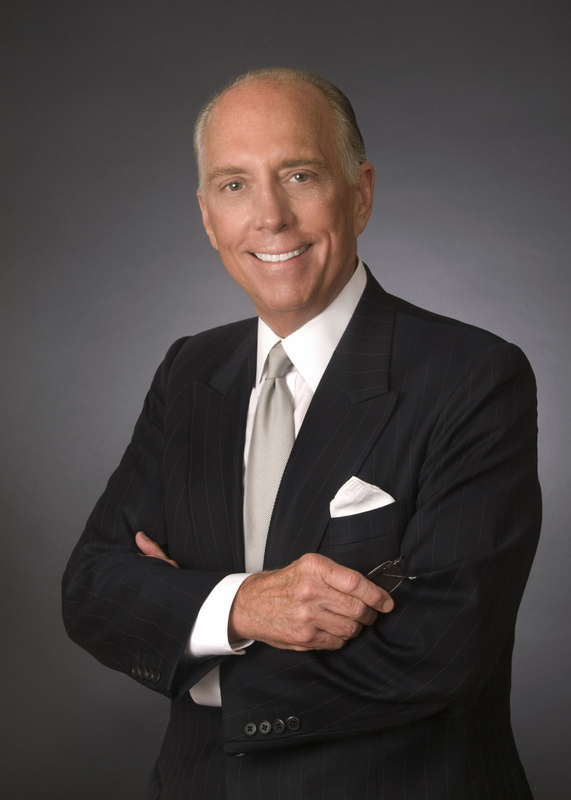 He is currently Chairman of The Moran Group, LLC in Houston, Texas (www.morangroup.us). Recent company Top-Grading engagements have been Hydraulic Fracturing (Texas), Dental Aligner 3-D Manufacturing (Texas), Real Estate Private Equity (California), Fiber-Optic Backbone Networks (New York and Florida), and Deep Water Oil & Gas Equipment Manufacturer, Cladding and Drill Pipe & Casing Patented Threading. Alfred is member of the Board of Directors and Chairman of the Audit Committee of Center Coast MLP & Infrastructure Fund, Inc. (NYSE:CEN), a closed end mutual fund. He is a former member of the Board of Directors and Chairman of the Audit Committee of Cornell Companies, Inc. (NYSE:CRN), an owner and manager of 82 private prisons throughout the United States. He is a former board member and Compensation Committee member of Plains Resources, Inc. (NYSE: PLX/PAA). He has served on the boards of both listed public companies as well as numerous private companies. He is a Director and former Program Committee Chairman of the National Association of Corporate Directors (NACD) Texas TriCities Chapter. Between 2007 and 2013 he served the City of Houston as the Director of Administration & Regulatory Affairs (“ARA”), where he served for six years in both the Bill White and Annise Parker Administrations. As the City of Houston Chief Administrative Officer and Chief Regulatory Officer, Alfred was responsible for Citywide Administration (General City Administration, Purchasing, Payroll, Department Human Resources, Insurance, Citywide Administrative Policy and Major Initiatives. As Chief Administrative Officer of the City, he was also responsible for the City’s Regulatory Affairs Division, which regulates all vehicles-for-hire (taxis, limousines, shuttles, pedicabs, etc. ), Commercial Permitting (alcohol, noise, sexually oriented businesses, etc.) and Public Utilities Regulation such as electricity, gas, telephone, cable, etc. He was also responsible for the transformations of BARC (Animal Control), Parking Management and the 311 Help & Information. ARA’s $430.0 Million in revenues is the third largest source of City revenues after property taxes and sales taxes. In 2013 he left the Parker Administration to return to the Private Sector. Originally from New Orleans and prior to moving to Houston from Los Angeles, California, he was a Senior Managing Director and Partner of Kibel Green, Inc., the leading Value Creation/Turnaround consulting firm in the Western United States. Alfred Moran is a seasoned Professional Consultant with over 35 years’ experience in building and enhancing shareholder value for companies ranging in annual sales of $3.0 Million to $5.0 Billion. He is often recruited to be CEO of client companies. He has extensive leadership experience in many industry sectors, including energy, manufacturing, services, life sciences, design and engineering, high technology, real estate, software, telecommunications, fast food, entertainment, wholesale food and financial services, all of which allows him to cross pollinate the strategies of one sector with the strategies of another sector. Alfred was Chief Restructure Officer of Cooperheat, Inc., headquartered in Houston with 33 offices throughout the United States and Canada. He has been CEO of Microelectronic Packaging, Inc. (NASDAQ:MPIX), which was sole source to Intel and Schlumberger. As Chairman, President and CEO, he founded SeraCare, Inc. (AMEX:SRK), a public national hyper immune blood plasma company, which was sold to Grifols, S.A.
As President and COO, he stabilized and grew WET, Inc., which creates, designs, engineers and builds high tech, entertainment Water Features worldwide including Disney Parks, Salt Lake Winter Olympics Flame, Rockefeller Center, Tokyo Dome, Texas Medical Center, Houston Galleria and many others. The largest was the famous $66.0 Million Water Feature at the Bellagio Hotel in Las Vegas. He has consulted to such national companies as Panda Express, AECOM (NYSE:ACM), Cook Inlet Energy Supply, Medieval Times, Inc., Consolidated Freightways, Cooperheat MQS, Inc., and Strome Investment Management, as well as, the People’s Liberation Army in China. He has worked extensively in Asia, Europe and Latin America. He was a partner of Coenen and Company, Inc., a NYSE Member Investment Banking and Institutional Brokerage firm in New York City. He has an MBA from the Harvard Business School and a BA in Philosophy from the University of North Carolina at Chapel Hill. He attended the Stanford University Directors’ College. He is a Member of World Presidents Organization in Houston, Texas and is a WPO, YPO and EO Resource Speaker on Corporate Best Practices.